Closeout. 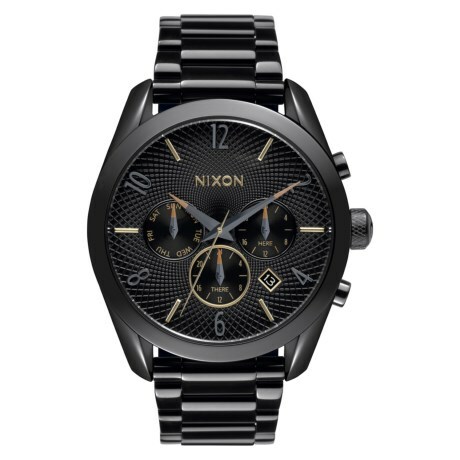 Unapologetically bold and wearable, Nixonand#39;s Bullet Chrono watch makes an impact with an intricately embossed dial pattern, touches of pop colors and a strong case and band design. Available Colors: ALL BLACK/MIXED, ALL GOLD/BLACK.